We are fully equipped and trained on providing software training at our state of the art facility in delhi - online and overseas keeping in view of the ever growing demands of the software market. Being the leading name in the industry, we are involved in providing Sencha Touch Development Service. We provide this Sencha Touch Development Service by using years of experience of our skilled professionals. Furthermore, clients can avail this service from us at most reasonable price. A Shell Script is a computer program designed to be run by the Unix Shell, a command-line interpreter. The various dialects of shell scripts are considered to be Scripting Languages. Typical operations performed by shell scripts include file manipulation, program execution, and printing text. Knowledge about shell scripting is a must for any advanced Linux administrator or engineer. Satori will teach you to establish and understand scripting environments , identify and set elemental scripting components , manipulate the execution of scripts. 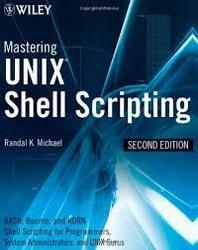 Shell scripting is the most commonly used term in a Linux user guide. It is a powerful programming method that saves you a lot of time once you learn how to write a script for the shell. With more and more organizations adopting Linux, it has become pertinent to have trained professionals who are fluent with Shell Scripting. Action Script is primarily used for development of website targeting adobe flash player applications.